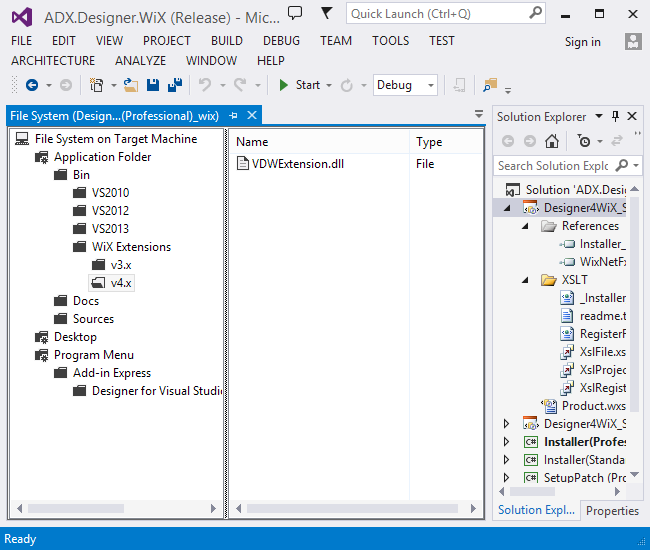 This Visual Studio extension allows developers to quickly create WiX-based setup projects in a familiar .vdproj way. 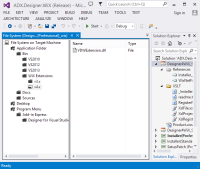 Components for Microsoft Office, Office 365 and Internet Explorer developers that allow extending Microsoft applications with your custom functionality without dreary routine coding and debugging. 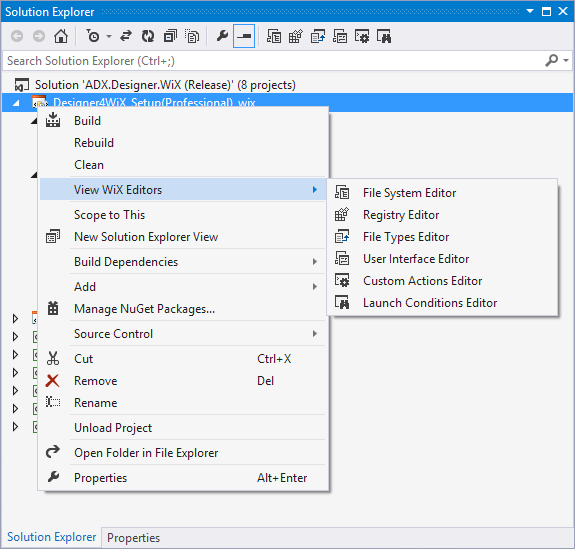 Designer for WiX Toolset is an extension for Visual Studio 2010, 2012, 2013, 2015 and 2017 that allows developers to quickly create WiX-based setup projects in a familiar Visual Studio way. 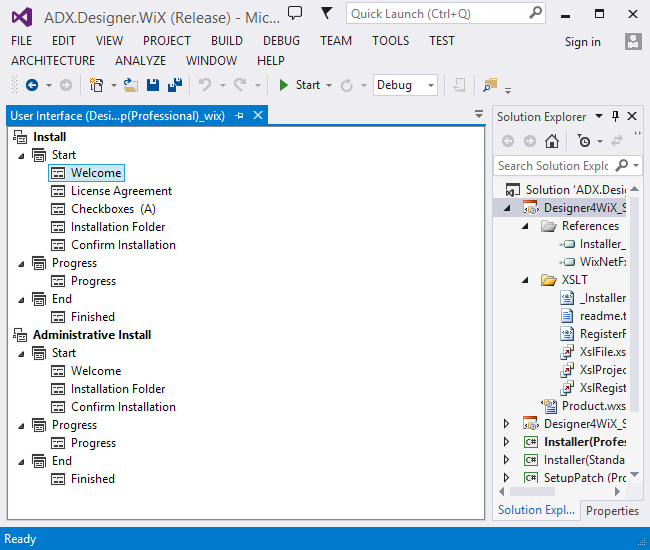 The Designer for WiX Toolset lets you forget the plain Windows Installer XML and concentrate on your deployment logic. 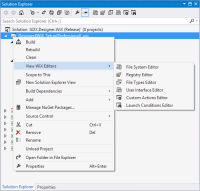 It integrates several editors with the Visual Studio IDE and provides a set of vdproj designers to configure the file system, registry, user interface, custom actions and launch conditions for your setup projects. 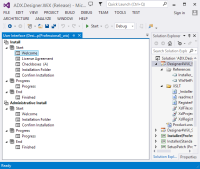 Support multiple languages with a single installation package.